Peaking up through this snowy sky towards the blue sky above may seem a little ominous, but it’s pretty cool too. 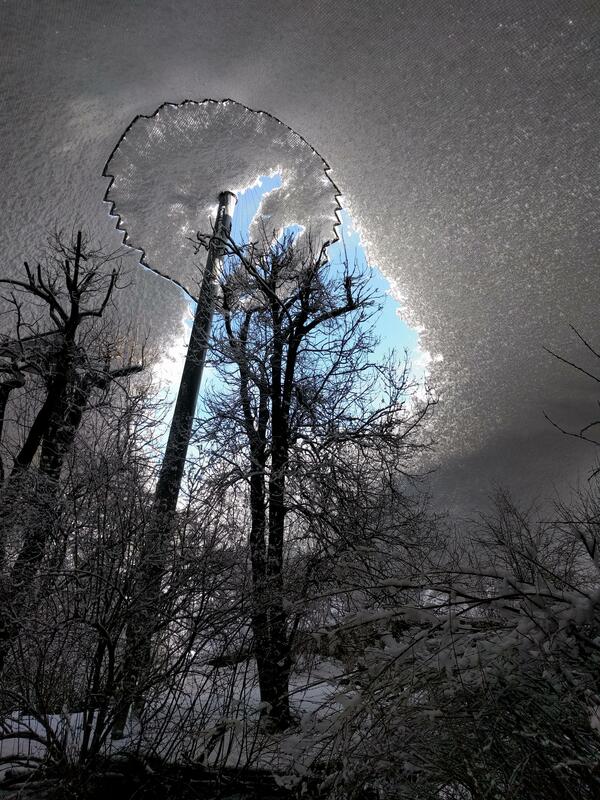 Apparently this is what it looks like when the snow covered net roof in the aviary at the Munich Zoo begins to thaw. Either that or Katniss Everdeen has just broken through the dome in the Hunger Games arena again.